Gilles Villeneuve signed Giacobazzi Ashtray. This is ca. 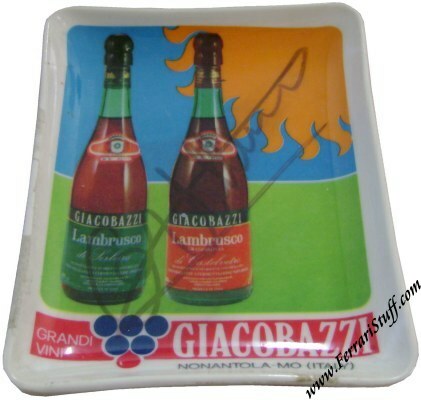 1981 Giacobazzi Lambrusco sponsor ashtray that was signed by Gilles with a black marker. Gilles Villeneuve signed items are very, VERY rare and we are happy to be able to offer this definitely out-of-the-ordinairy piece which we acquired straight from the Giacobazzi company. The ashtray measures some 5.5 x 4.2 inches or 14 x 11 cm. Only 1 available of course as every autographed item is unique and we provide a Certificate of Authenticity with it which guarantees that this is a genuine signature. Read more about our Authenticity Guarantee HERE.